As California leads the cannabis movement forward, recent licensing throughout the state is allowing companies to expand, and HARDCAR Distribution is well prepared for the growth. January 5, 2018 – (Palm Springs, CA) –HARDCAR Distribution announces that they have secured a Temporary Cannabis Distribution License (Type 11 – Medical) for the state of California. Because adult use and medical marijuana must pass through a distributor before reaching a retailer, this will allow the company to safely and securely transport more cash and product for its major clients throughout the state. California’s cannabis program, both adult use and medicinal, is entirely outlined in the emergency regulations that were officially released by the California Bureau of Cannabis Control on Nov. 29, 2017. It is estimated that there will be 20,000-plus dispensaries in California by the end of 2018, and recent studies from BDS Analytics/Arcview Market Research project sales of recreational marijuana to reach $577 million, while sales of legal medical marijuana could reach $2.7 billion. Headquartered in Palm Springs, California, HARDCAR is a pioneer in license compliance through advanced technologies like discrete, driver detection in armored transport of cash and services, hidden weapon detection systems, cybersecurity, technology integration with revolutionary robotic security, Artificial Intelligence, and advanced threat and hidden weapons detection. 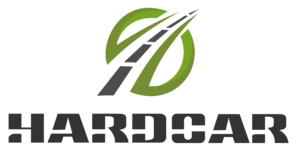 HARDCAR’s team of industry-leading agents, including former military and law enforcement personnel, are equipped with the necessary hardware and technology to ensure safe transportation of cash and product from pick-up to delivery. HARDCAR clients are always up to date with pertinent laws via the company’s fully compliant security services. There are currently eight states allowing legal medicinal and recreational use, and seven more medicinal only states looking to push adult use legislation in 2018, so this is a very exciting time for HARDCAR and its team of professionals. For more information about the evolution of marijuana legalization in 2018, click here.